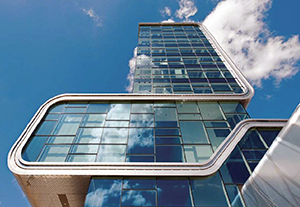 RAI Amsterdam is situated eight minutes from Amsterdam’s city centre and 15 minutes from Amsterdam airport, Schiphol. EULAR 2018 delegates can easily reach the congress venue by public transport. The Amsterdam metro is a mixed subway and above-ground commuter rail network with many lines. Tram 4 runs between the RAI (Stop: Europaplein), Amsterdam’s city centre and Amsterdam central station. 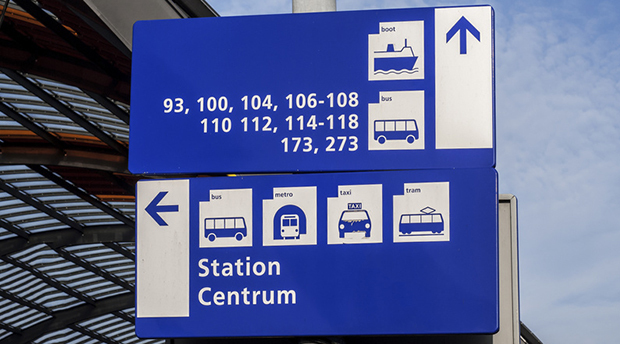 You can reach the RAI from the Amstel railway station by taking Metro 51 and Bus 65. Metro 51 also runs to Amsterdam central station. The metro line 50 runs regularly between the Amsterdam Sloterdijk and Gein stations and stops at the RAI Amsterdam station. Amsterdam has a variety of taxi firms. TCA has 1,500 drivers and 1,300 vehicles. Taxi fares from the RAI Amsterdam venue to the hotels and to the Schipol Airport in Amsterdam are set; special rates are in place to guarantee that delegates are not over-charged. Passengers at the Amsterdam Airport Schiphol can also opt for electric, Tesla taxis. These vehicles make a major contribution to sustainable mobility. Amsterdam is one of the most bicycle-friendly cities in the world; it is a city with a strong 'bicycle culture' that includes good facilities for cyclists such as cycle paths and bike parking racks. In 2013, there were approximately 1,200,000 bicycles in Amsterdam, outnumbering the total number of citizens in the city. 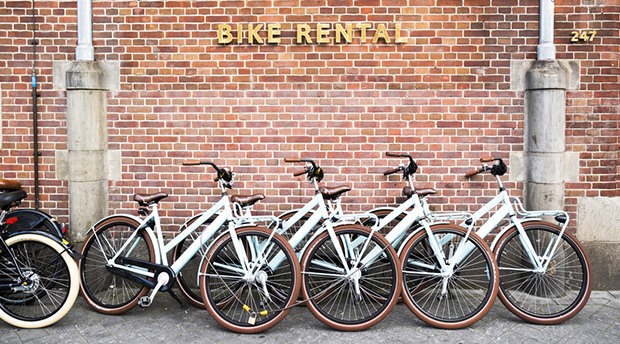 Bicycle rentals are readily available throughout the city: Central Station, Leidseplein and Dam Square are all major rental hubs. The official language in the Netherlands is Dutch, however a majority of the population speak English to a near-native level. The official congress language is English. No simultaneous translation is provided. A certificate of attendance will be given to each congress participant; it is distributed with the congress bag, which is received at the registration desk. EULAR will apply for CME accreditation. Congress documents are to be collected on-site at the registration desk. Name badges must be worn and be fully visible at all times during the congress and in the exhibition area. Complimentary coffee and tea will be served in the exhibition/poster area during all scheduled coffee breaks. A number of restaurants and sandwich bars are located within the congress venue which accept payment in cash and most international credit and debit cards. It is recommended that congress participants obtain adequate cover for travel, health and accident insurance before they depart from their respective country. The organisers, EULAR and MCI, cannot accept responsibility for personal injuries, or loss of - or damage to - private property. Smoking throughout the congress venue is strictly prohibited. All areas and rooms at the congress venue are accessible to participants with disabilities. All requests from companies/organisations wishing to host private events during the EULAR Congress must be submitted in writing to the EULAR Secretariat in Kilchberg by 1 March 2018 at the very latest.